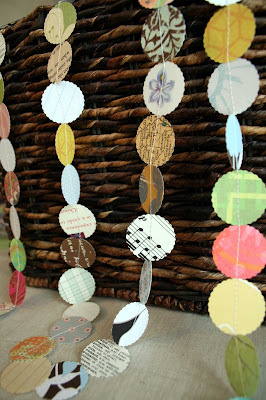 I saw this fabulous idea the other day about making a garland of paper rounds and decided to try making one (cannot remember where I saw a pic of this, please let me know if found!) It was SO easy and quick to make. 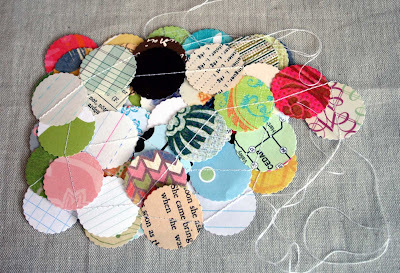 I gathered about 65 1" scalloped paper rounds (I had punched a bunch awhile ago), and fed them into the sewing machine one at a time. It is approximately 5½' long with extra thread at each end to hang it. These would be great as a party decoration or as a craft area inspiration! I'm sure there are many more ways you could use these fun things! 1. 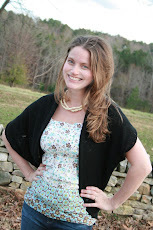 Begin by pulling enough thread through so that you will have room to tie the garland to something when it is finished. 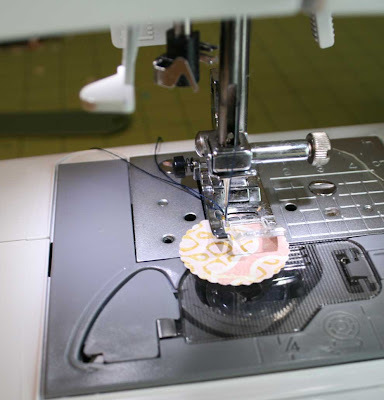 Slowly feed in the first round so that it sews through the middle. 2. 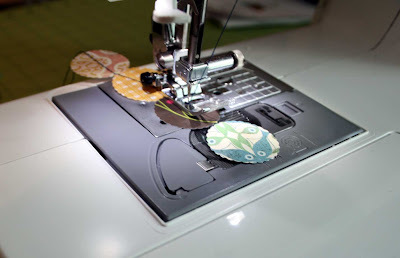 Feed each round in one at a time so they are up against each other as you sew them together. 3. Keep feeding rounds until you have the desired length of garland. 4. 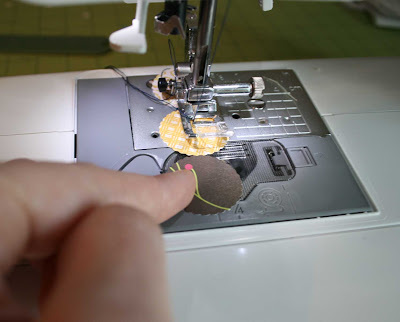 Be sure to pull enough thread through at the end before cutting it from the machine to hang up this side of the garland. Voila! A beautiful paper garland of recycled paper! These are so fun! Definitely on my project list. Thanks for sharing. 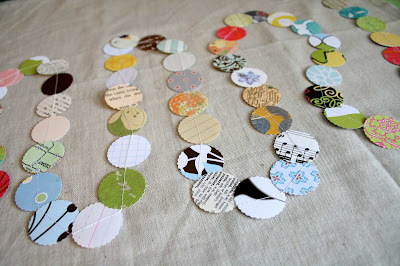 Love paper rounds garland and will make some. Did you ever find out who deserves the credit? 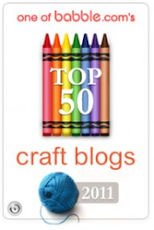 I credit you with sharing a fun recycling craft. I love papercrafting.